The Law Office of Stephen P. Maguire is dedicated to helping you seek justice though expert assistance with your claims for Social Security Disability (SSDI) and Supplemental Security Income (SSI) disability benefits. The process of applying for and obtaining disability benefits can be confusing, overwhelming and frustrating. 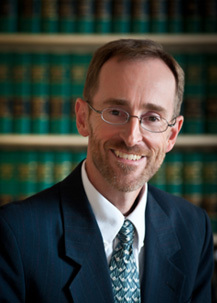 I am a social security disability lawyer that works personally with you to give your claim the best chance to succeed. On your first appointment in my office, we will complete the on-line Social Security Administration application or notice of appeal. My team and I then build your case with supporting medical evidence and evaluations describing your disability in detail and submit it to the Disability Determination Services. We will work together with you throughout the process, and I will not give up. We’ve taken claims through the U.S. District Court and the U.S. Court of Appeals for the First Circuit. My fee is contingent on your success. You Pay No Attorney Fees Unless We Win. Please call my office today at 401-781-7700 for a Free Consultation. My office is conveniently located just off Route 95 Exit 16 at 41 Auburn Street in Cranston, RI. 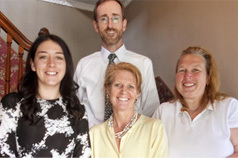 Licensed in RI, MA, and CT.
Our Law office concentrates on your claim, acquiring medical records on your behalf and submitting them to the SSA, including personalized opinion forms from your treating doctors describing why you deserve SSDI or SSI benefits. We are a small Disability Law Office dedicated to personal service. We are conveniently located off Route 95, at Exit 16, near the corner of Park Avenue and Doric Avenue, next to the CCAP building.